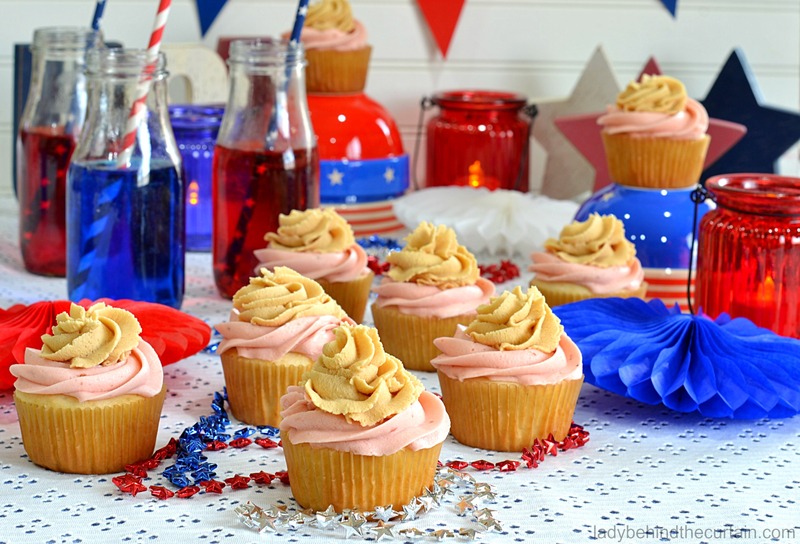 Peanut Butter and Jelly Cupcakes | Summertime, when family members and friends gather together, have fun in the sun and EAT! The table is set for the party and you can’t wait for your guests to have dessert! 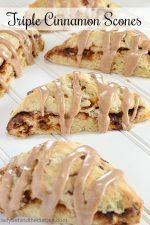 Present your guests a twist on a family classic, the peanut butter and jelly sandwich. 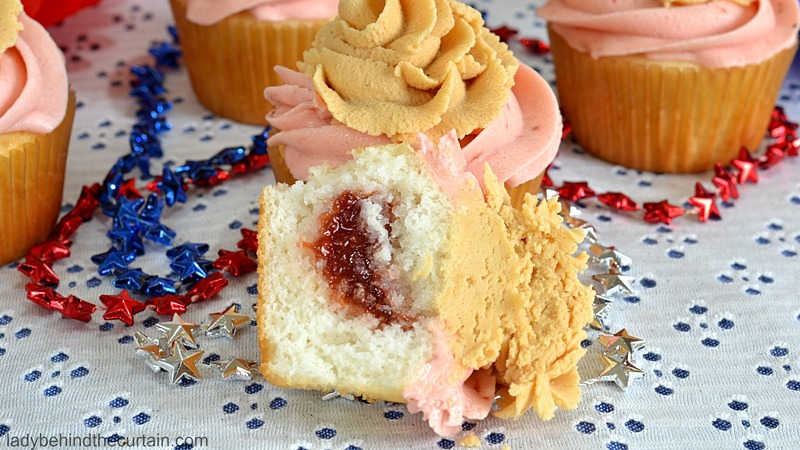 Fluffy White cake filled with strawberry jelly and topped with a peanut butter and strawberry butter frosting. 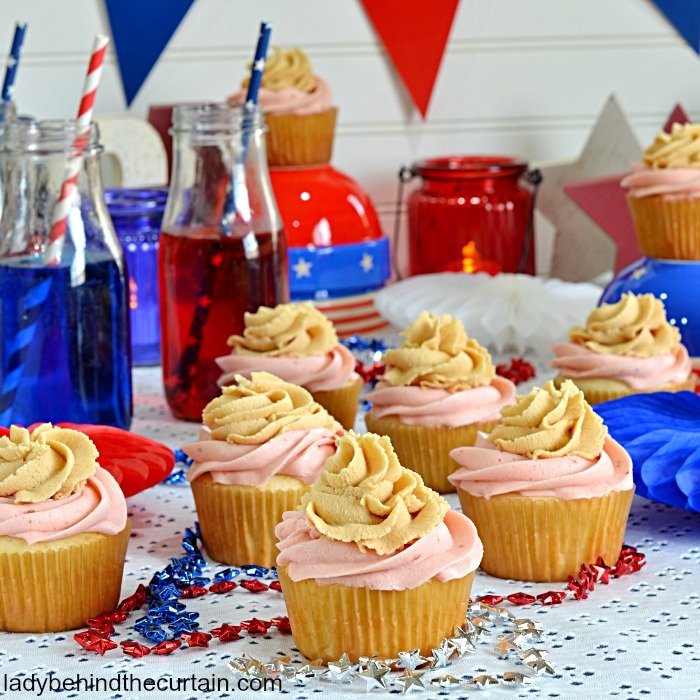 These Peanut Butter and Jelly Cupcakes are the perfect cupcake for a summer party! 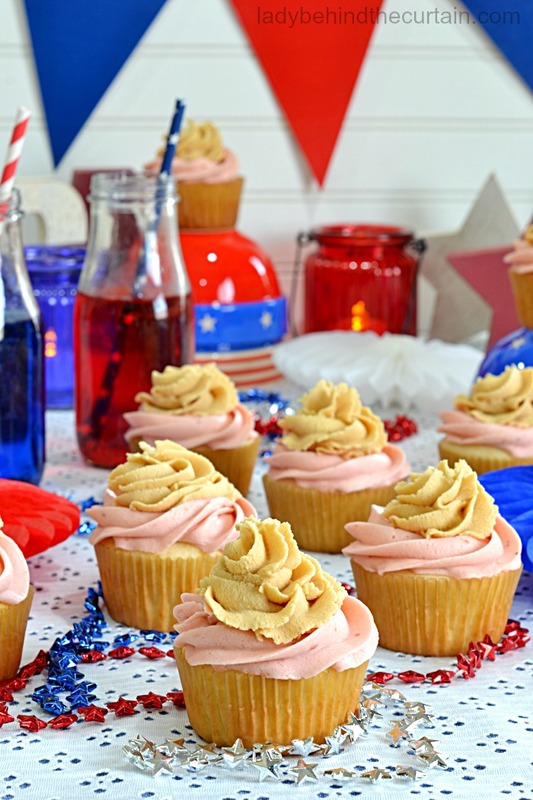 What’s a peanut butter and jelly sandwich or dessert without the perfect peanut butter? For the perfect sandwich you need the perfect peanut butter. 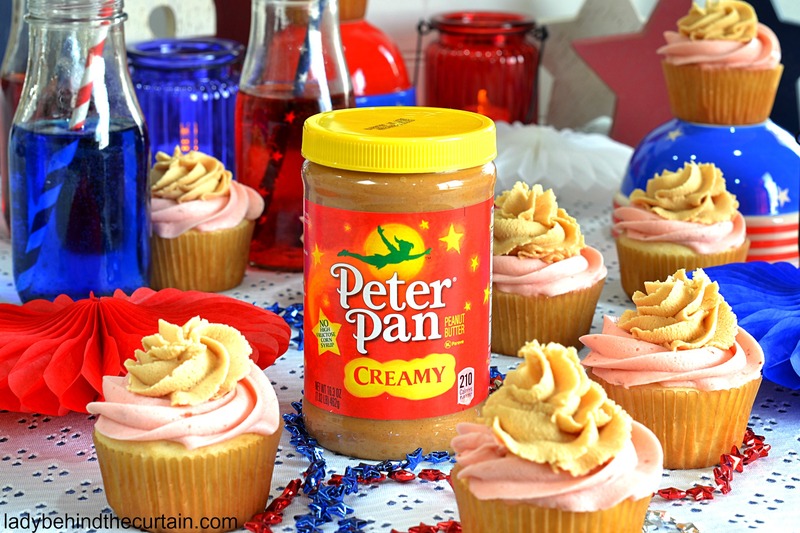 My number one choice is always Peter Pan® Peanut Butter. 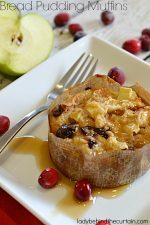 It’s made from wholesome, simple ingredients, and packed with protein. 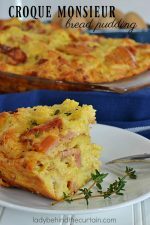 It’s delicious as a spread, an ingredient or my favorite way…. right from the spoon! 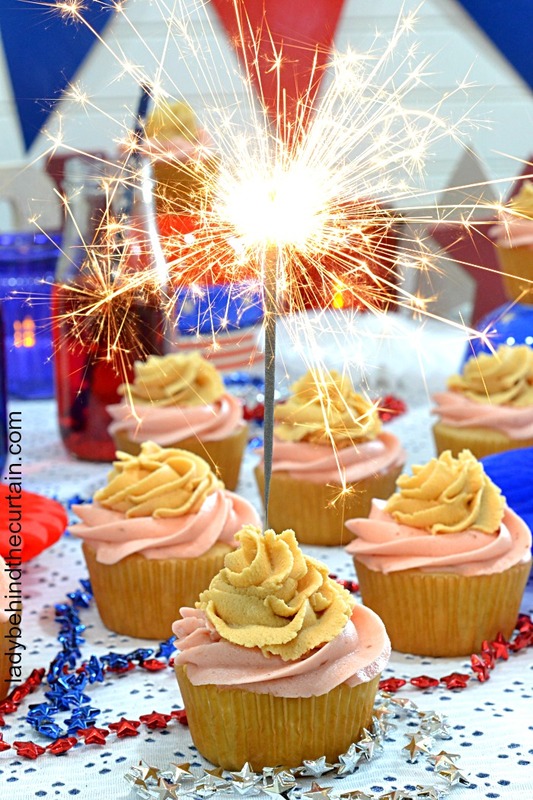 Light up the sparklers and Party with Peanut Butter and Jelly Cupcakes! 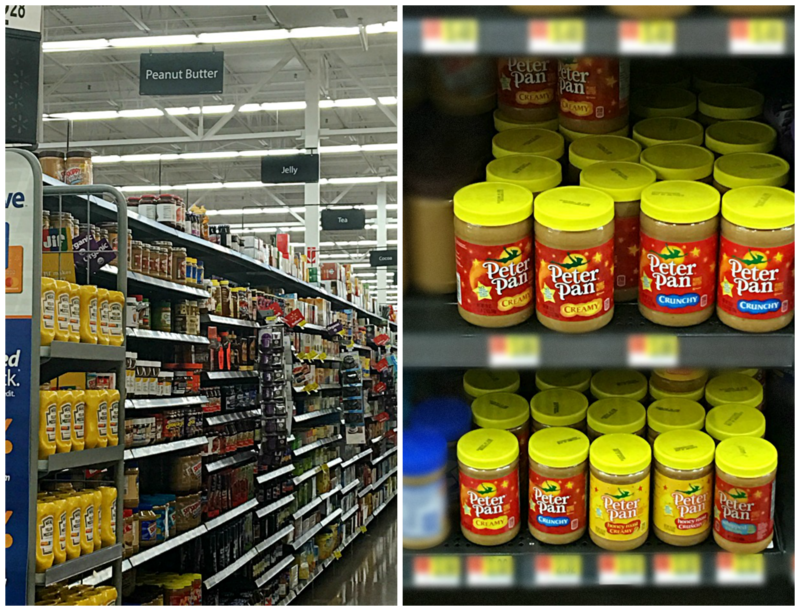 You can find this delicious peanut butter at your local Walmart! 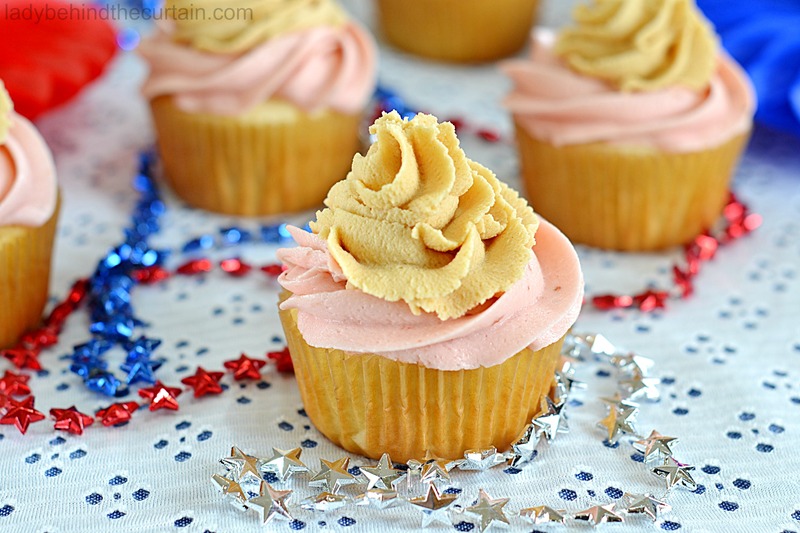 Oh, and did you know these amazing cupcakes are semi homemade? I know! It’s a hostesses dream! 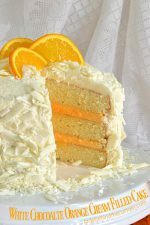 The white cake mix is the perfect substitution for white bread. Use a level ice cream scoop of cake batter. This will help keep the cupcakes the same size. 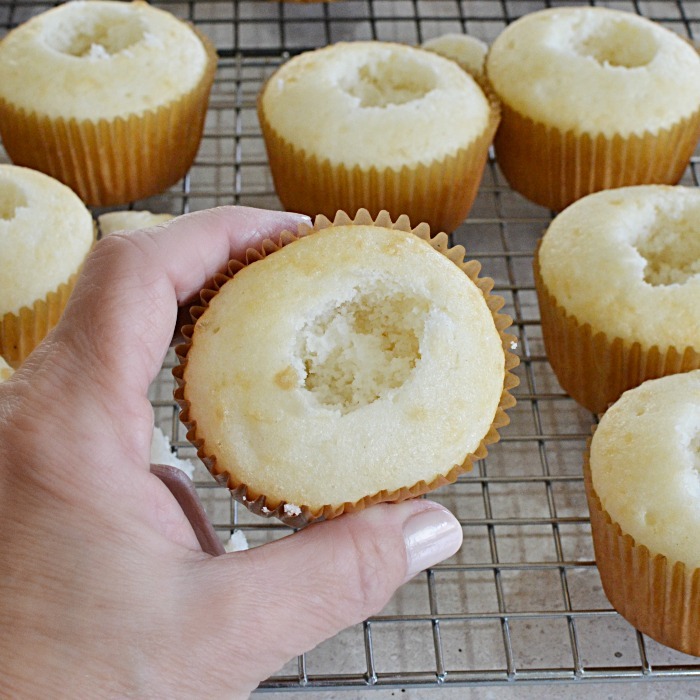 Use the large end of a melon ball tool to remove some of the cake from the center of each cupcake. Reserve what is removed. 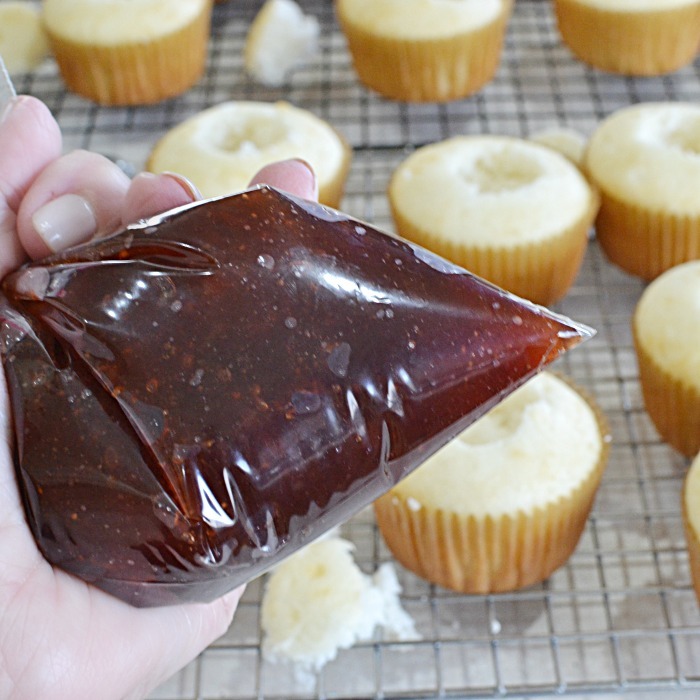 Add strawberry preserves to a zip top bag, cut one corner. Place what was removed back on top. 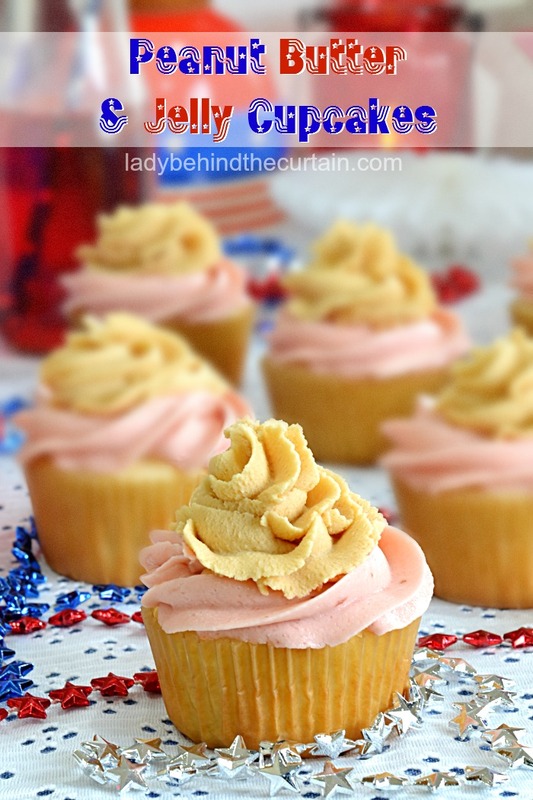 Add a swirl of Strawberry Butter Frosting. 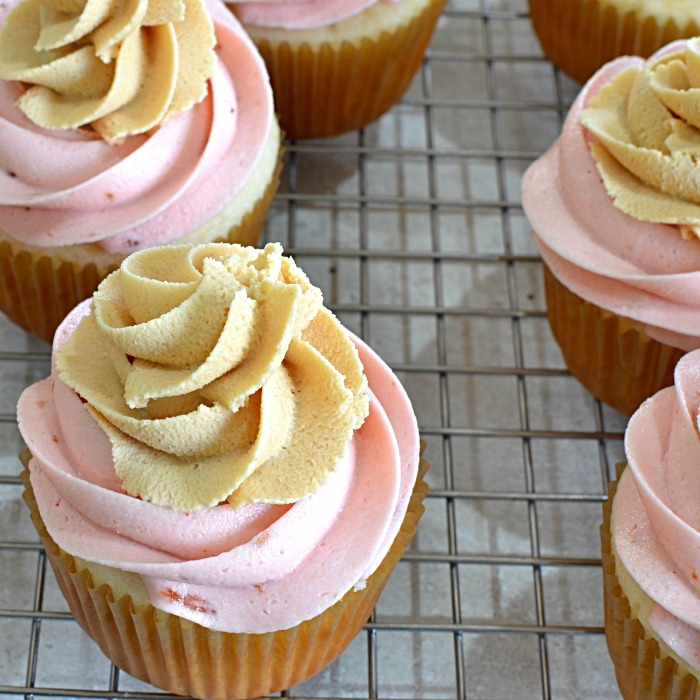 Fill the center with Peanut Butter Frosting. Host the ultimate summer block party! Check out the #StarsOfSummer Sweepstakes. Where you have the chance to win a $50 Walmart gift card almost everyday leading up to Labor day (ends 8/31) as well as enter into the drawing for a $750 Walmart Gift Card grand prize. Winner selected on or around 8/31. Make cupcakes as the box directs. 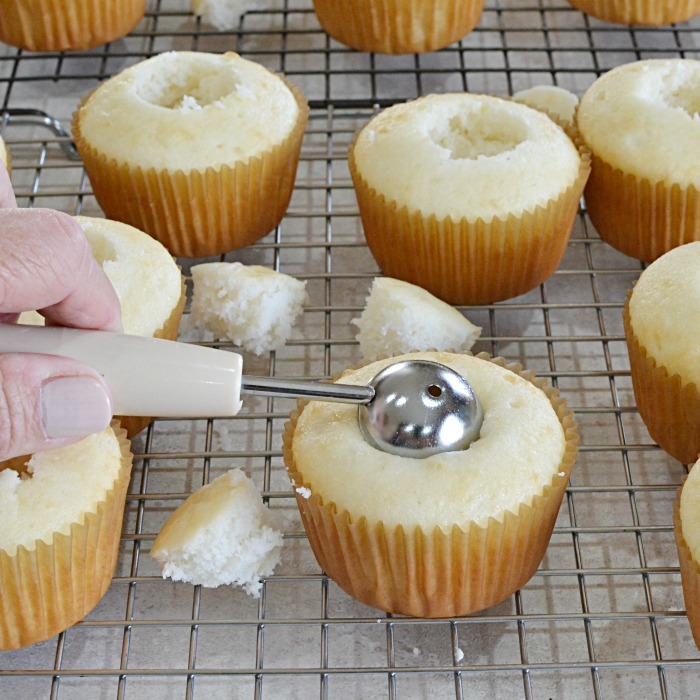 Using a melon ball tool, scoop out the center of each cupcake (reverse the scooped portion). Put jelly into a zip top bag and snip the corner. 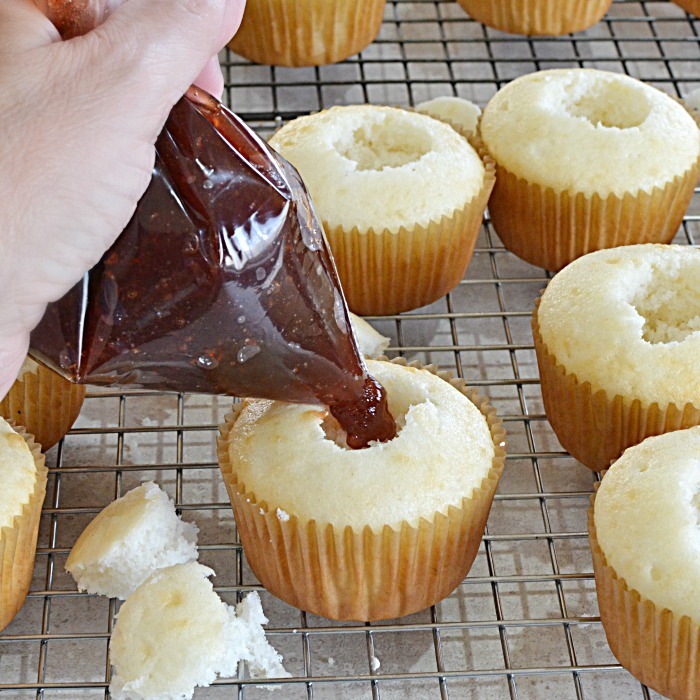 Fill the hollowed out cupcakes with jelly; replace the cut out portion of the cake back on top of each cupcake. 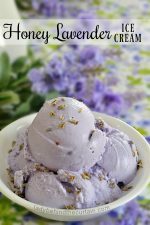 In a medium mixing bowl whip together the butter, strawberry preserves, vanilla and strawberry extracts until combined and creamy. 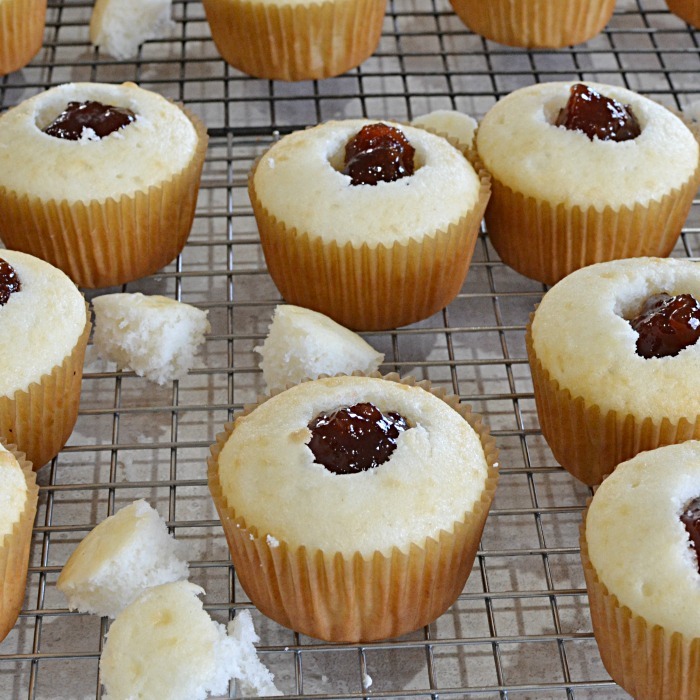 Mix in confectioners’ sugar 1 cup at a time until fluffy. For a pop of color add a drop of red gel food coloring; mix to combine. 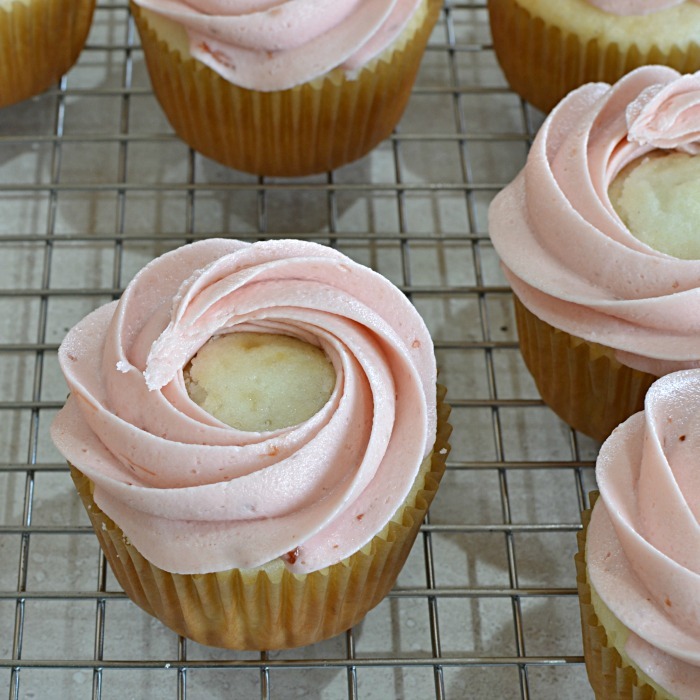 Put frosting into a piping bag fitted with a 1M tip; frosting around the perimeter of the cupcake. Mix together the butter, peanut butter, milk and vanilla until creamy. 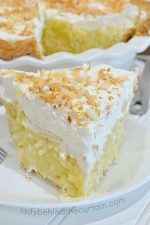 Add confectioners’ sugar 1 cup at a time mixing well between until smooth. 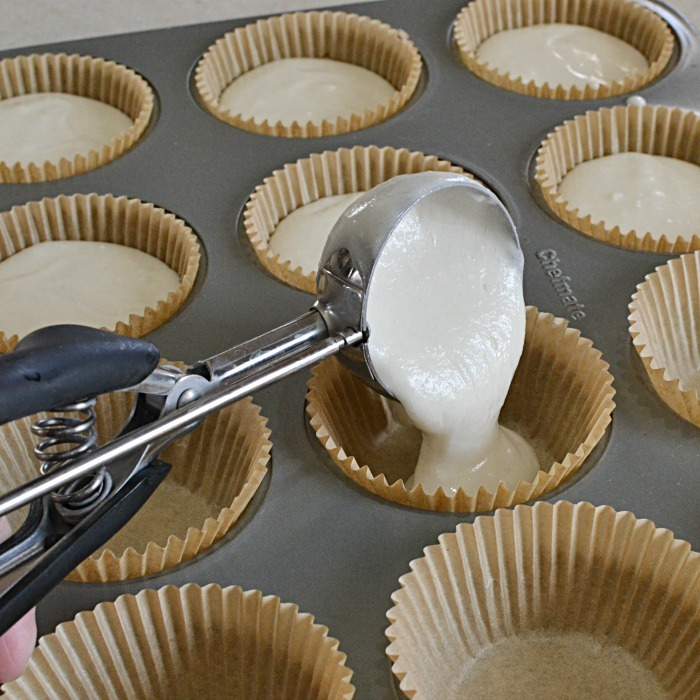 Put frosting into a piping bag fitted with a 1M tip; pipe and fill in the center. Thanks Carrie! I think any guest would be very happy to have one of these. Thanks Carrie. I hope WalMart carries the “strawberry extract, because i,ve never seen it before or heard of it. Hi Mary, I found mine at Safeway. I bet any Kroger store would have it too.